Music is the heart of our worship. 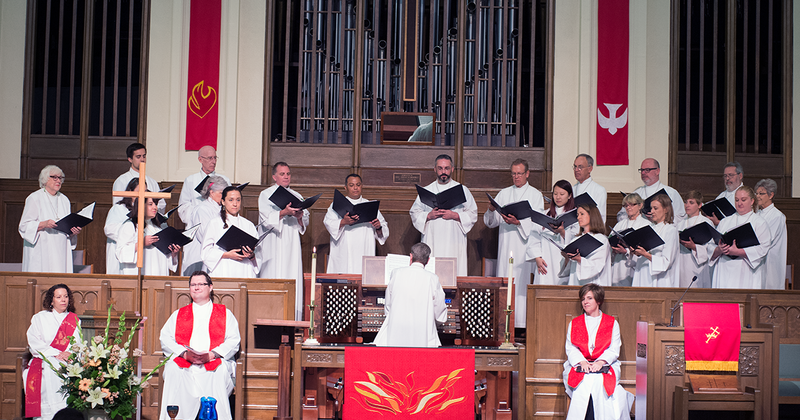 Our services feature traditional church hymns, contemporary performances, instrumental concerts, handbells and more. 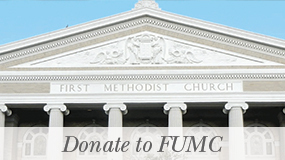 The FUMC Choir is a dedicated ensemble of musicians who meet twice weekly to rehearse and provide musical leadership and support for 11:00 a.m. 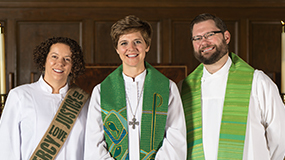 Sanctuary Worship, Festival Services at Christmas and Easter, and special services and concerts during Advent and Lent. Rehearsals are Wednesdays, 7:00 – 8:30 p.m. in the Sanctuary Choir Room (12th and Colorado St. entrance) and Sunday mornings at 10:30 a.m. in advance of the 11 a.m. service. Provides musical leadership (July and August) for 11:00 a.m. Sanctuary Worship. Rehearsals are Sundays, 10:15 – 10:55 a.m. in the Sanctuary Choir Room. By arrangement and interview/audition with Director of Music. The Sanctuary Bells ring on the second Sunday of every month. Rehearsals (September through June) are Wednesdays, 6:00 – 7:00 p.m. in the balcony of the Sanctuary. For more information, please contact our Director of Handbell Choirs, Shirley Derryberry at sderryberry22@gmail.com. Children’s Choir rehearsals (September through May) are Sundays, 9:00 – 9:45 a.m. The children’s choir performs once a month throughout the fall and spring. Special performances occur during the Christmas season, and a fully staged musical is presented in the spring. Children Kinder – 8th grade are welcome. For more information, please contact Wendi Olinger at wendi@fumcaustin.org or (512) 478-5684 ex. 210.